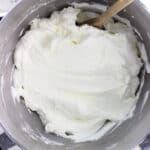 Stabilized whipped cream is so easy to make at home and makes a big difference in pies, trifles, and many more desserts. A quick extra step helps ensure leftover portions of recipes with whipped cream stay fluffy for days. So stabilized whipped cream barely counts as a recipe, but it’s a real game-changer as far as homemade whipped cream goes. 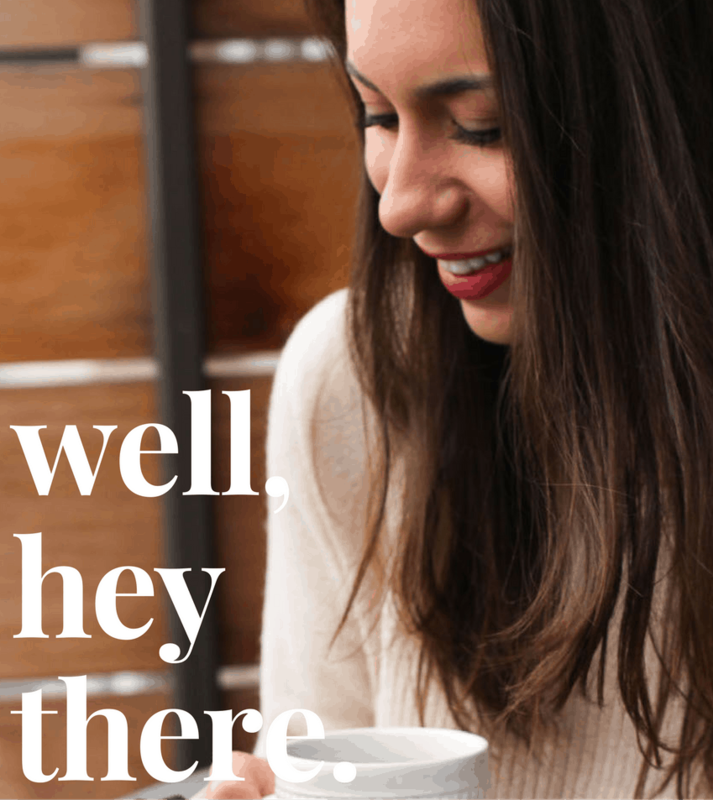 Deserving of its own blog post, in my opinion! 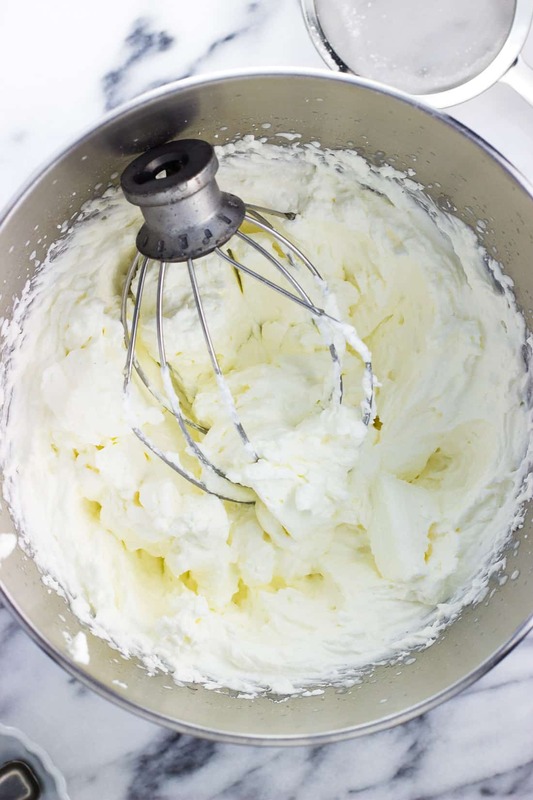 Homemade whipped cream is a special treat on sweets like pie and in trifles, but tends to lose its ‘fluff’ the longer it’s been since it was made. Because desserts like trifles can be large-yield recipes, who wants leftover servings to be bogged down by weepy, deflated whipped cream? One easy, inexpensive ingredient is the star when it comes to making stabilized whipped cream: unflavored gelatin. One packet of unflavored gelatin dissolved in water and slowly incorporated into heavy cream does the trick for maintaining perfect whipped cream structure for days. 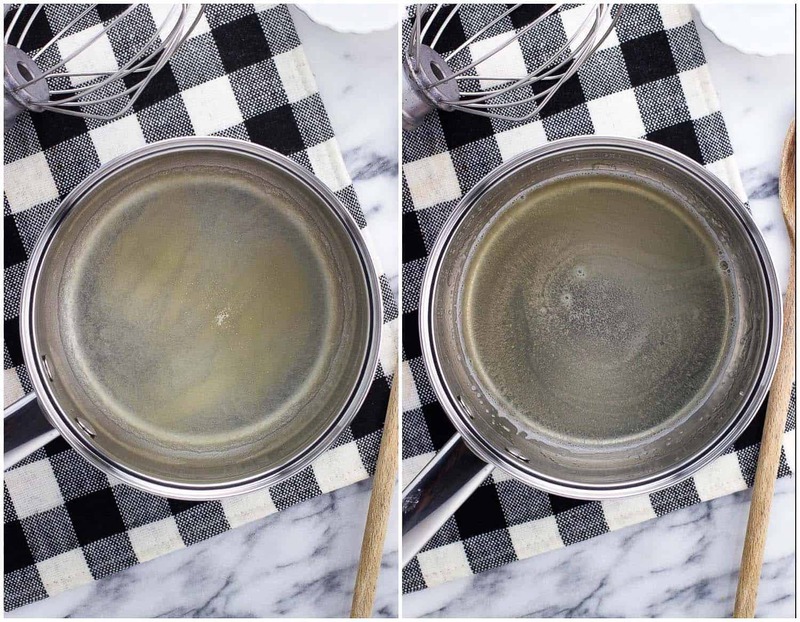 The gelatin mixture will look thick and grainy once you sprinkle it over top of the water in a small saucepan (above left picture), but that’s okay. 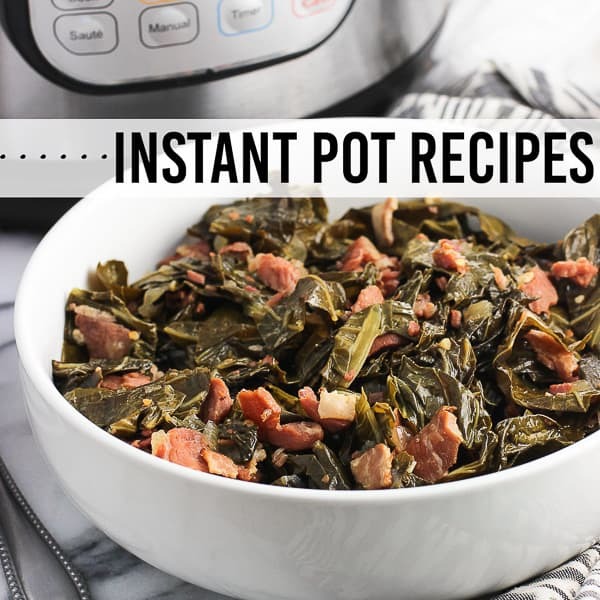 The next step is to put the pan on the stovetop over low heat for just a few minutes, which will liquify everything into a smooth, thin mixture. That’s the above right picture. Since coldness is important for making whipped cream, let this liquified gelatin mixture sit for a few minutes to cool down some before continuing. 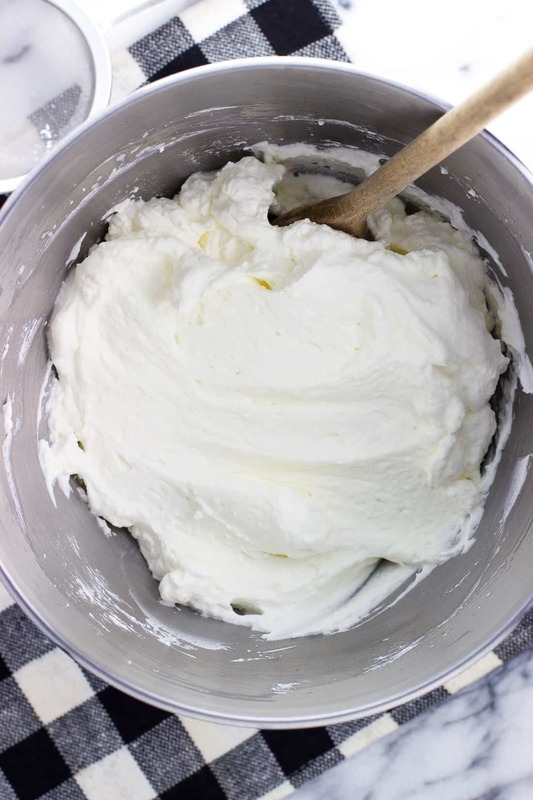 Technically whipped cream can be made from just one ingredient, cream, but usually some element of sweetness is much appreciated in whipped cream that will be used on or in desserts. 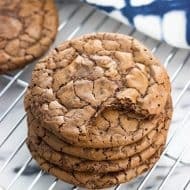 My go-to is using powdered sugar, which integrates into the light and fluffy whipped cream easily. Before adding it to the cream, I like to sift it through a mesh sieve to make sure any lumps are removed. 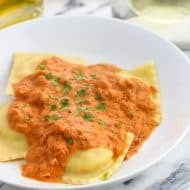 What type of cream should I use for whipped cream? 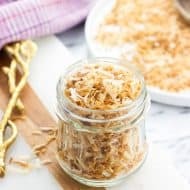 The cream’s fat content is what causes it to thicken and become fluffed up into dollops, so generally speaking the higher the fat content, the better. You’ll typically see a few varieties at the supermarket. Heavy whipping cream, with a minimum fat content of 36% here in the U.S., is what I use for all my whipped cream purposes. All that to say it can be confusing to see another variety next to it called “whipping cream” without the “heavy” in front of it. That kind features less fat (between 30-36%) and while it will whip for you, less fat = less structured, stiff peaks. In a pinch it will do, especially with stabilized whipped cream as the gelatin gives it a structure boost, but I prefer heavy whipping cream. While it can be tempting to see about subbing in or using milk for a portion of the dairy, it won’t have enough fat to hold its shape. Even whole milk, which seems indulgent for this 2% family, only contains 3.25% fat. Not nearly enough. Since the gelatin doesn’t get added right away, I like to begin the whipped cream as the dissolved gelatin is cooling off. 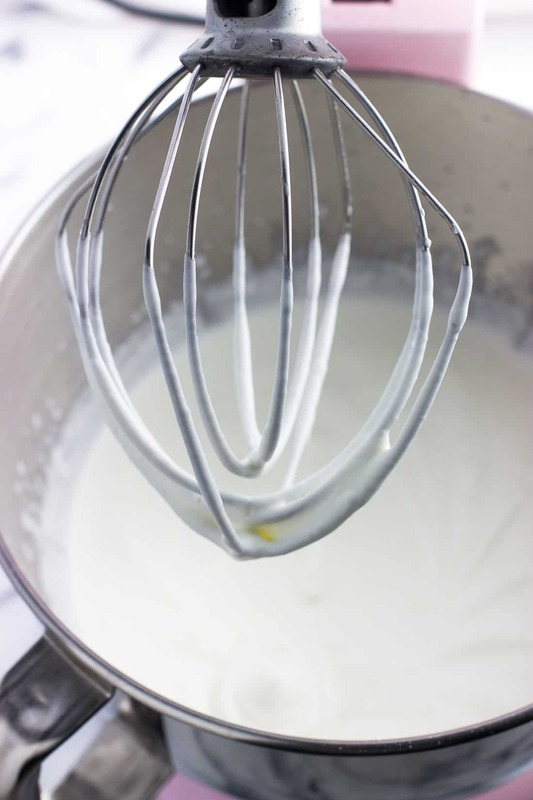 Pour the heavy whipping cream and confectioners’ sugar into the bowl of a stand mixer (or a mixing bowl with a hand mixer), and start beating on high speed until the cream begins to thicken a little bit. Aim for around the thickness in the above picture where the cream coats the beaters, but it’s not an exact science. Then it’s time to reduce the speed and slowly pour in the gelatin mixture. Raise the speed back to high once it’s all incorporated and continue beating until stiff peaks form. That’s it! The gelatin seamlessly and flavorless-ly works into the fluffy whipped cream to extend its life for literally days. Now that you have a big batch of whipped cream, why don’t you try it out in a few dessert recipes? 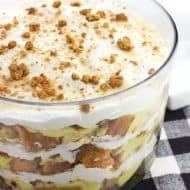 Stabilized whipped cream really shines in trifles, as it holds its own when layered between cookies, cakes, and puddings. The last scoop left will be as good as the very first one! 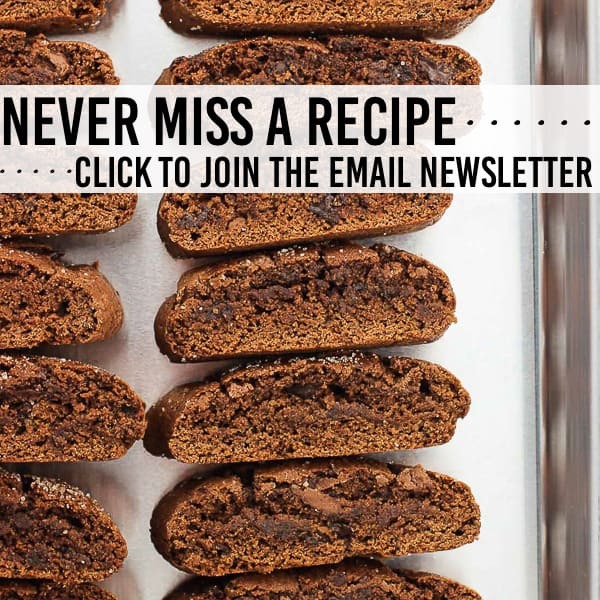 Whether you’re a chocolate or vanilla lover or prefer brownies over cake (or vice versa! ), one of these four trifle recipes is sure to hit the spot. When made with stabilized whipped cream, I can vouch that leftovers will stay in the fridge for days. We want things to be COLD to help whipped cream whip up nice and good. 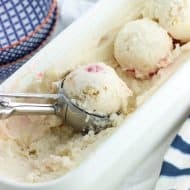 Keep your cream in the fridge right up until you’ll be using it, and it doesn’t hurt to stick your mixing bowl in the fridge or freezer for a bit to ensure it’s extra chilly, as well. Since gelatin is animal-derived/made from collagen, you may wish to keep your crowd in mind if you’ll be serving dessert to vegetarians. 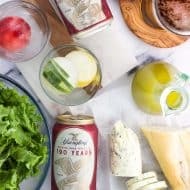 Obviously everyone is different and has their own preferences, but whipped cream isn’t necessarily an ingredient that vegetarians might think to ask about. I know they make vegan gelatin alternatives, but I haven’t used them and don’t know how they’d do in whipped cream. Add water and dry gelatin to a small saucepan and stir to combine. Wait a few minutes before continuing to allow the mixture to thicken up. Set the saucepan on the stove over low heat for just a minute or two, or until the gelatin dissolves. Once dissolved, remove the saucepan from the heat to let the mixture cool slightly for a few minutes (as it'll be going into cold cream). 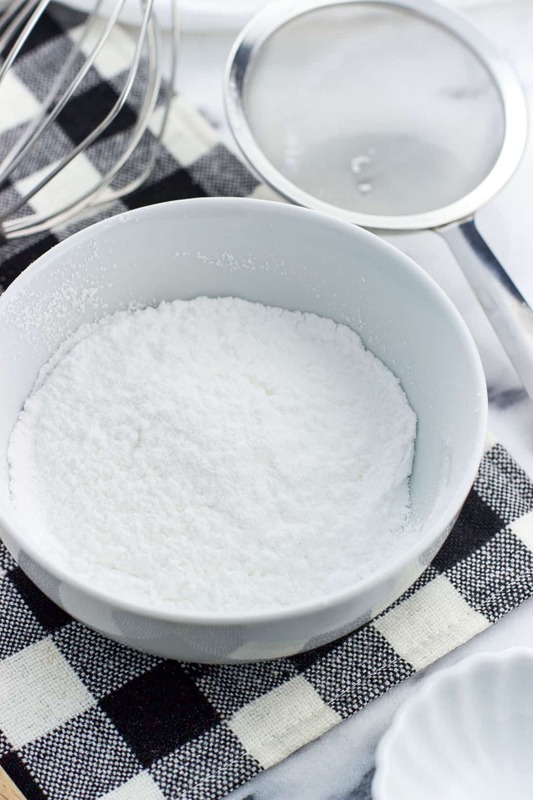 Pour the cream and confectioners' sugar into the bowl of a stand mixer and beat at high speed until the cream begins to thicken. With the mixer on low speed, slowly pour in the slightly-cooled gelatin mixture. 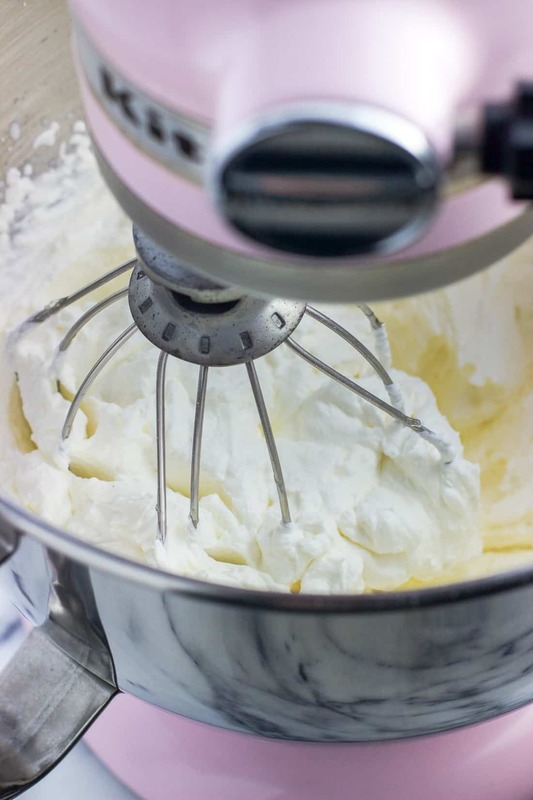 Increase mixer speed back to high and whip until whipped cream is fluffy. Stabilized whipped cream can be used immediately or stored in the refrigerator for several days before use. If the dissolved gelatin mixture thickens up too much as it's cooling off, simply place the saucepan back over the stove to briefly heat it, then let it cool for less time than before. Would this work without sugar? 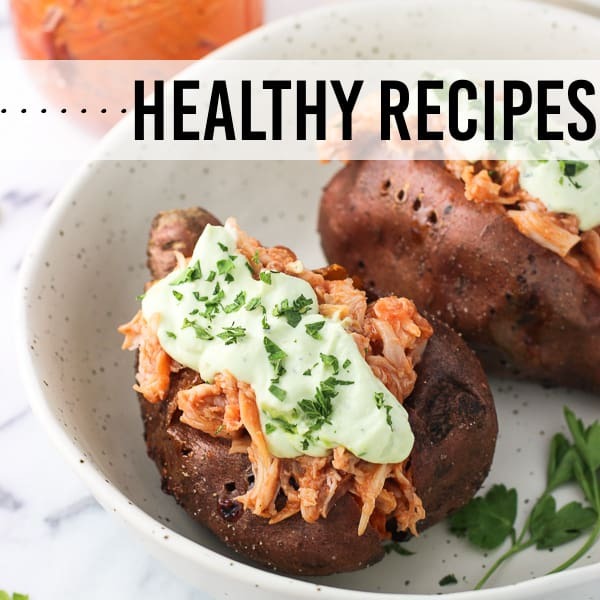 Appreciate the recipe!